ABEL Organics’ delightful second fragrance TONIC is released this month. A lively, crisp and jaunty scent – perfectly apt for spring fever and urban adventures. In light of the TONIC’s launch we talk with Frances about seeking adventure, a conscious lifestyle, and the ingredients for a sparkling springtime. TWO YEARS AGO YOU MOVED FROM NEW ZEALAND TO AMSTERDAM. HOW IMPORTANT IS ADVENTURE TO YOU? To me, seeking adventure is the wonderful opportunity to grow as a person through experiences. For us, leaving our family, friends and familiarity behind enabled us to do just that. Dave [her husband] and I were at a point in our lives where we wanted that opportunity to grow, we also both love travel and while we adore our home country New Zealand, it is so isolated from the rest of the world, which is also perhaps what makes it so endearing. We chose Amsterdam because it felt like our kind of city – relaxed, international [important when they were looking for English speaking jobs] and creative, with a good energy. HOW DID YOU FEEL WHEN YOU LAUNCHED ABEL ORGANICS? The evening after our Amsterdam launch back in September last year, I remember sitting down with Dave at a little pizzeria in the Jordaan with a glass of red wine each, looking at each other just totally unable to believe we’d got to where we were! Exhilarated, excited, nervous, scared… so many emotions. One thing I’ve learnt through Abel though is that it’s really important to enjoy these milestones and not get caught up in the ‘what’s ahead’. So that night we tried to really just focus on the now and toast to the success of that moment. WHO IS THE ABEL WEARER? The Abel wearer is anyone who identifies with our philosophy. Young, old, male, female it’s not important. The Abel wearer is someone who sees through the allure of mass market, mass-produced, over-advertised rubbish, while at the same time, questioning why things can’t be both sustainable and stylish. He or she doesn’t like to compromise! He or she is someone who is beginning to understand and be aware of the impact of our life and lifestyle – on ourselves, our planet – including its inhabitants – and future generations. Because of this awareness, he or she likes to make choice-full decisions on how they fit into this picture, what their own personal stance and responsibility is, what the effects of the things they buy and consume, are. They believe it’s the little things that count and try to live their life in a way that they are proud of. HOW DO YOU CELEBRATE SPRING AND SUMMER? Symbolically Spring represents new beginnings and I think that holds true for me. There’s something about new life – in the form of plants or animals – that encourages me to look at my life, reenergise, recommit to philosophies and get excited about what’s ahead. More than anything I like to get outside and enjoy the increase in temperature! Whether that’s early morning walks, taking my yoga practice to the park, or labouring over a long lunch in the sun with friends. CAN YOU TELL US SOMETHING ABOUT YOUR SECOND FRAGRANCE ‘TONIC’? 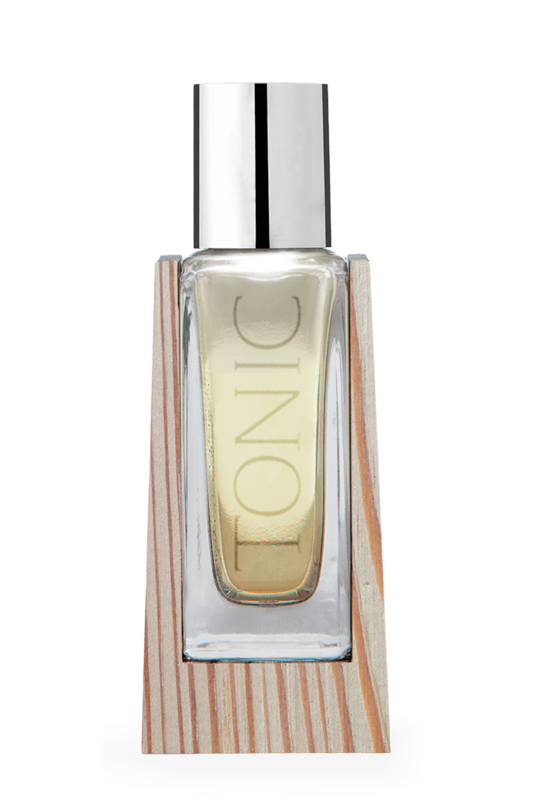 Tonic is all about the promise of Summer. In Amsterdam it is that first afternoon on a terrace where the air is warm enough to bare some skin. In New Zealand it was the first time you smelt freshly cut grass. It’s fresh, it’s zesty and it’s jaunty. Liberating and easy to wear, without being typical. The top note ingredients like lime, peppermint and bergamot are uplifting, while the vetiver base is grounding. Like Vintage ’13 it is just as beautiful on a man as a woman. Spring fever. Urban adventure. Delight. That’s TONIC. The handcrafted Oregon Pine casing is made from old support beams recently reclaimed from the (in)famous Amsterdam canals and protects Tonic from heat and light damage. Spirited New Zealander Frances Shoemack spent her career amongst the vineyards, barrels and tasting rooms of the New Zealand wine trade before moving to Amsterdam with her husband Dave in search of a new adventure. Two years on, unable to find an organic perfume that looked and smelt great, she decided to create one. With a nod to Abel Tasman the Dutch explorer who discovered New Zealand, she named her brand Abel. Abel’s philosophy is simple, use the best organic ingredients and bring them to market in a stylish, sustainable manner. To create a perfume using only organic ingredients without compromising on hedonism, she hunted down fellow New Zealander and Milan trained ‘Nose’ Isaar Sinclair. ABEL Organics is available in selected stores around the world and in the online shop.